Taurine is a conditionally essential, sulfur-containing amino acid found in the tissues of most animal species. It is not incorporated into proteins, but is found free in many tissues. 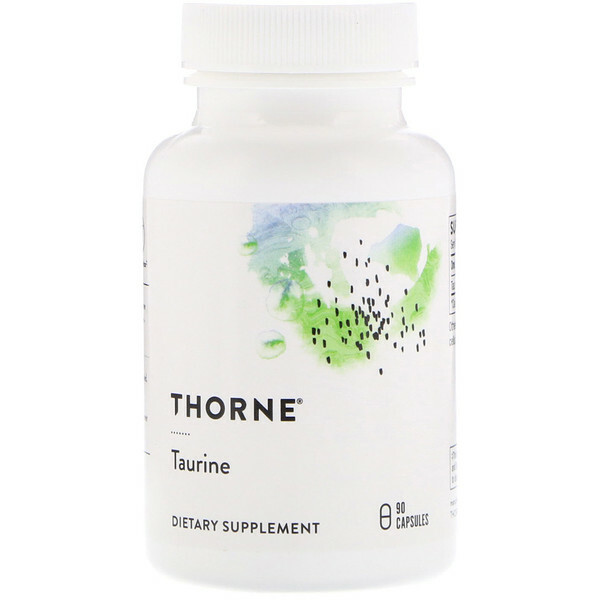 Taurine is involved in a number of physiological processes, including bile acid formation for fat digestion, fluid regulation, detoxification of environmental toxins, regulation of cellular calcium, and regulation of nerve excitability. 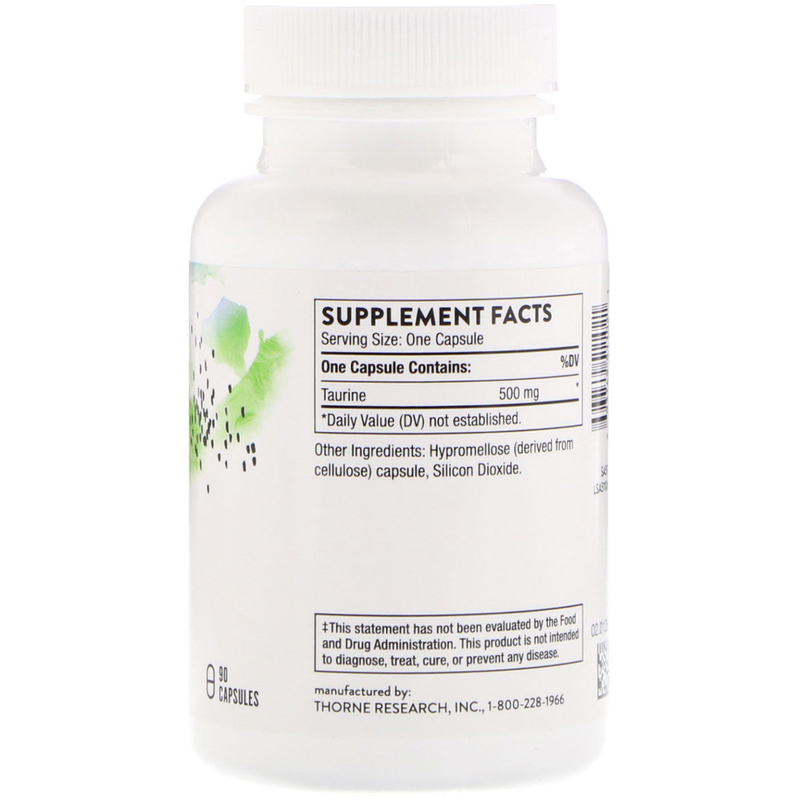 The liver combines bile acids with taurine, which results in increased cholesterol solubility and excretion. Individuals who are taurine deficient may be more susceptible to tissue damage from environmental pollutants such as aldehydes, chlorine, and amines. Taurine is the most abundant amino acid in the heart. Taurine has been shown to improve nitric oxide production in the vascular endothelium, which is essential to optimal blood flow, maintaining already normal blood pressure, and overall cardiovascular functioning. Taurine acts as an antioxidant as well, inhibiting LDL cholesterol oxidation. Hypromellose (derived from cellulose) capsule, silicon dioxide.